“I want to be the first business you see on Google!” is one of the most common requests that agencies encounter. And, who can blame the business owners? Having that coveted top spot in Google’s 3-pack is a tall order. However, it’s a goal you can achieve for your clients if you have a strategic approach. We’re operating on the assumption that you already know the importance of the almighty Google: with its 40,000 search queries every second and 3.5 billion (yes, billion) searches per day, you’re well aware that a local presence on Google My Business is seriously worth the time and effort. It’s crucial to educate your clients that excelling at GMB requires a plan of action and resources. Luckily, you can help them out! Listings management seems like a small task: how hard can it be to get all of your businesses NAP data up on a directory? First and foremost, you need to scrape the web to ensure you get rid of old, outdated and inaccurate listings to make your work worthwhile in the first place. Companies rarely have the know-how or technologies in-house to do this. To add to that, it only takes one miniscule error to throw everything off. An inaccurate area code or a phone number with one digit off — inconsistent with the rest of the listings on the web — can make local search rankings plummet. If you’re having trouble convincing your client the need to use a centralized platform with the guidance of local search experts, remind them that Google pulls NAP data from all over the web, so one small mistake or one rogue listing could be impacting potential revenue from online searchers. Google’s 3-pack forces businesses to optimize their listings for higher performance. From Google’s perspective, this allows the search engine to give searchers the most accurate, detailed information based on their query. For businesses, this means a little added legwork to get location-specific descriptions, alluring photographs, categories and more. What’s more, listings require constant TLC: updates for holiday hours, changes of locations, openings/closings of location, always need to be prioritized when your client is making any changes. We strongly recommend creating microsites for each one of your client’s locations via their own website’s store locator. Although Google pulls data from multiple directories across the web, their algorithm considers the company’s website the most official source of information. By creating a store locator that Google can easily read, and creating microsites for each one of your client’s locations, you could see a major spike in website visits. When you’re able to tell your client what locations are being found on Google and where your local listings are generating the most traffic, they can start to draw connections between web traffic and foot traffic. 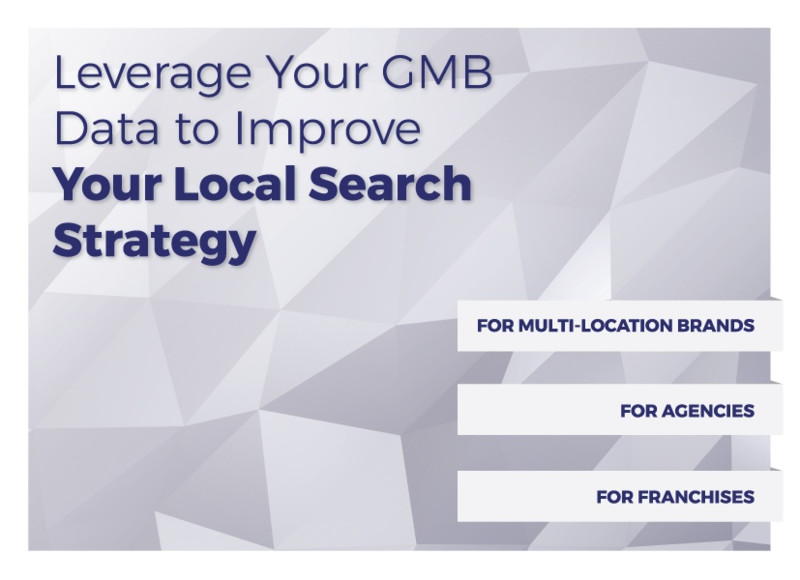 To make certain locations perform at a higher level, you can make campaign recommendations, such as higher bids on certain localized keywords. While it may take a little extra effort to educate your client on the complexity behind getting a coveted spot on Google’s 3-pack, it’s well worth your time. Remember to emphasize the laborious nature of the task, and demonstrate why it’s an ongoing marketing project. From there, prove the success of your suggestion (and their ROI) with analytics and insights — and continually build better local campaigns.